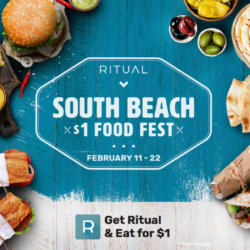 Ritual (ritual.co) is running a $1 Food Festival in South Beach beginning Monday, February 11, 2019. Ritual is a consumer app and web platform that enables customers to order ahead and skip the line at their favorite restaurants in their local neighborhood. Not only do customers save time by ordering ahead, but they can also save money through perks available exclusively through the Ritual app. Ritual has partnered with several restaurants to organize a $1 Food Festival, which will run from Feb 11 to Feb 22, 2019. Customers will be able to order meals that are typically priced over $10 for only $1. 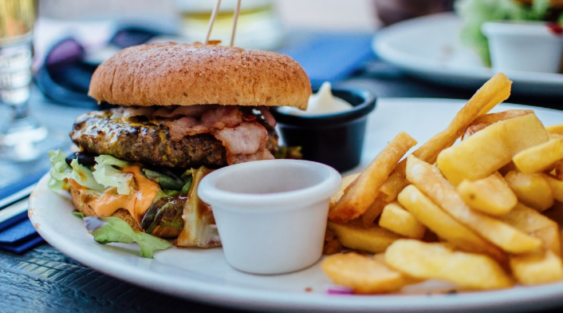 To make the deal even sweeter, customers will be able to order multiple times at different restaurants throughout the week. Customers can search ‘Dollar Festival’ in their app to see a complete list of restaurants participating. Customers are encouraged to get to know their neighborhood through the best way possible, by trying local food. Ritual helps enable unique social experiences between restaurants and customers within their local community.